Whether you’re getting your business off the ground or have been in business for a while, securing a small business loan can help your business grow and flourish. Our AVP, Small Business Relationship Manager Samantha Petrou highlights the 5 key steps that can help you be better prepared when applying for a business loan. Knowing how much money you need and what the money is actually needed for is a great first step. With this information, it can be much easier to decide on what type of loan best fits your needs. Underestimating the amount of money you need is a common occurrence for small businesses, and often one that can leave businesses with capital problems down the line. The financial section of your business plan, which should include a well-planned budget, accurate financial projections and cash flow statements, makes this step much easier. Do you know SCORE can help you with your business plan? SCORE is a nonprofit association supported by the U.S. Small Business Administration (SBA) dedicated to helping small businesses get off the ground, grow and achieve their goals through education and mentorship. Check out www.score.org/business-plan-resources for more information including business plan templates, webinars and workshops. 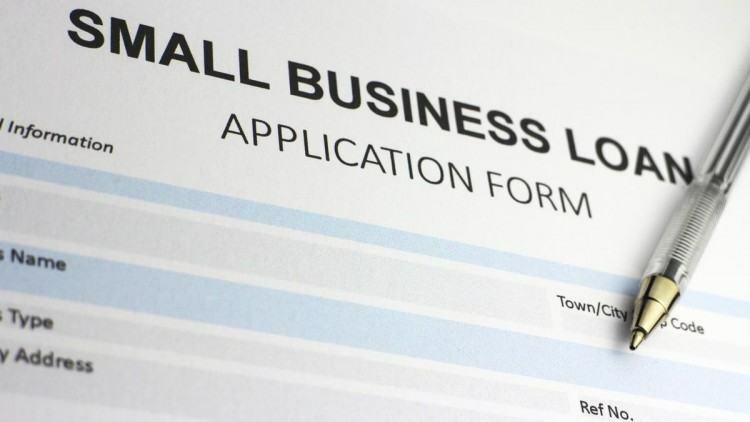 There are many loan options available when it comes to financing your small business. Understanding the different types of loans out there provides you with a head start when trying to find the best option in supporting your needs. At Pentucket Bank we offer various loan products to fit your business lending needs. Learn More. When it comes to deciding on whether or not to loan money to a small business, lenders look at a few factors. The most important include your credit score and credit report along with your overall risk profile. If you have a history of making timely payments and solid cash flow with low debt, your chances of securing a loan are much higher. If not, focus on cleaning up any deficiencies and remember that nothing is ever out of the question. Lenders are there to help and will work with you to try and find a solution that works best for your business. Do you know you are entitled to a free credit report from each of the three credit reporting agencies (Equifax, Experian, and TransUnion) once every 12 months? You can request all three reports at once or space them out throughout the year. Request your free credit report online at AnnualCreditReport.com. Lenders like to feel confident that you know what you are doing running your business. That starts with becoming an expert on everything about your company. This means a solid understanding of both the market and industry that you operate in, strong knowledge of your competition, as well as being an expert about your product. A well written business plan is great place to start in showing lenders that you are capable of running a business. There are so many different resources available to you and most will go out of their way to help you so take advantage. Local banks are often the most popular choice as they have a wide array of knowledge in dealing with small businesses. They understand the importance of small business on their local community and are thus a very valuable resource throughout your loan process. Securing a small business loan is no easy task. To do so takes a solid business, a lot of hard work and a lender you trust. At Pentucket Bank we’ve been helping businesses, organizations and the community since 1891. We recognize that each business has unique goals, challenges and opportunities. That’s why we invite you to contact our AVP, Small Business Relationship Manager Samantha Petrou to discuss your business banking needs and discover how we can help you grow and prosper.